Are you sitting comfortably? Then I’ll begin… Whether you grew up with ‘Listen to Mother’ on BBC Radio 4 or – like me – the legendary Jackanory, today’s Number 1 storytelling show for kids is CBeebies’ Bedtime Stories. From Simon Pegg to Damian Lewis and Ashley Jensen, some of the biggest names in Film and TV have been asked to read stories to the nation’s 3-6 year olds. Now – rather lowering the pedigree – I’m really chuffed to say I too will be taking to the plinth, reading a range of books on the channel. I know how highly regarded this programme is among parents and how well-loved it is by their kids. 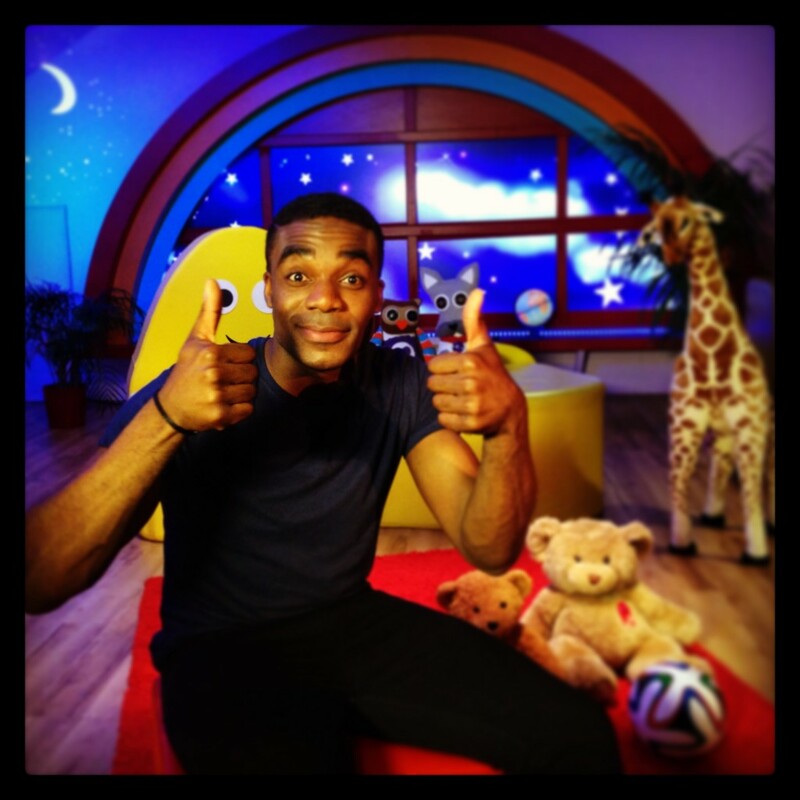 And after years of working in Childrens’ television, I appreciate how lucky we are to be welcomed into the homes of families around the country, whilst entertaining and educating their youngest members. So it was a real privilege to do. My episodes of Bedtime Stories will air later this year, will keep you posted! **My first Bedtime Story – ‘The Sports Day’ by Nick Butterworth & Mick Inkpen – airs on the CBeebies Channel at 6.50pm on Friday 19th September.